Copyright holders are urging UK internet service providers to block illegal file-sharing sites. Victims of online piracy are planning to call on UK internet service providers (ISPs) to sign up to the voluntary scheme to block sites that enable illegally sharing copyright material. 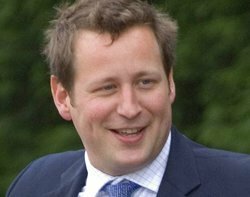 Content producers are drawing up a detailed proposal for the scheme after consultations with communications minister Ed Vaizey. The move to an industry-led solution to online copyright infringement comes amid continuing delays to the implementation of anti-piracy legislation passed last year, according to the Financial Times. At a recent government-hosted meeting on a voluntary site-blocking system to help tackle online copyright infringement, the paper said rights holders were told to draw up a detailed proposal for how the site blocking would work. The proposals need to address ISP concerns about the costs, technical feasibility and legal liabilities, which have proved major sticking points in the past. The Digital Economy Act passed last year contains several mechanisms aimed at tackling online piracy, but these are being held up by reviews or court proceedings. Communications regulator Ofcom is reviewing site-blocking proposals in section 17 of the Digital Economy Act and is expected to publish its views on the practicality of implementing the law in about a month. BT and TalkTalk are challenging in court other provisions of the Digital Economy Act, such as warning letters to people who download copyrighted material over the proportionality of aspects of the law.